Our devices are becoming increasingly powerful, which means they need more energy and therefore larger batteries. Although the technology is progressing, it still takes a while to fill up a phone, even with fast charging technology. To help solve this issue, Huawei developed a super fast 55W charger for its Mate X to load up its two batteries rapidly. This makes the folding device one of the fastest charging on the market, but Xiaomi appears to be dethroning its rival with a new 100W technology that can fuel a 4,000mAh battery in just 17 minutes. Christmas has come and gone, but you might still be in the market for something to spend some cash or a holiday bonus on. 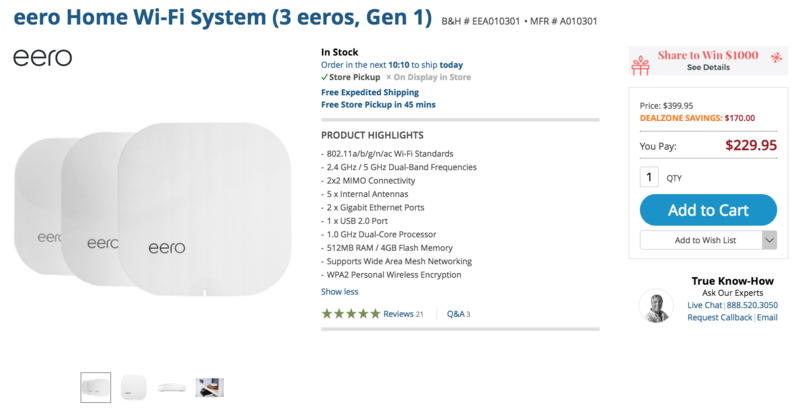 B&H is running a year-end sale on a ton of products, including the first-generation eero Home Wi-Fi System, a nice Samsung Fast Charge bundle, and several other goodies you might want. While the dream of all top-tier smartphones supporting wireless charging seems to be fading, there are still a fair number on the market equipped with the feature. It's a sweet way to juice up your phone without the hassle of dealing with wires and plugs. 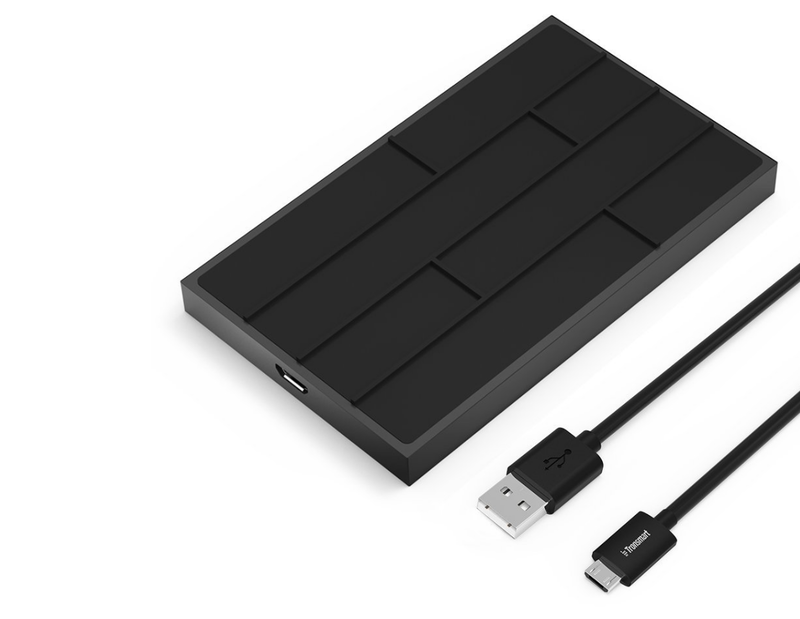 Tronsmart has just released a new wireless charger called the Chocolate and passed along some coupon codes to share with you. The only truly notable feature about the charger is that it supports the new, faster generation of wireless charging with speeds up to 10W (1.4 times faster than the older generation). 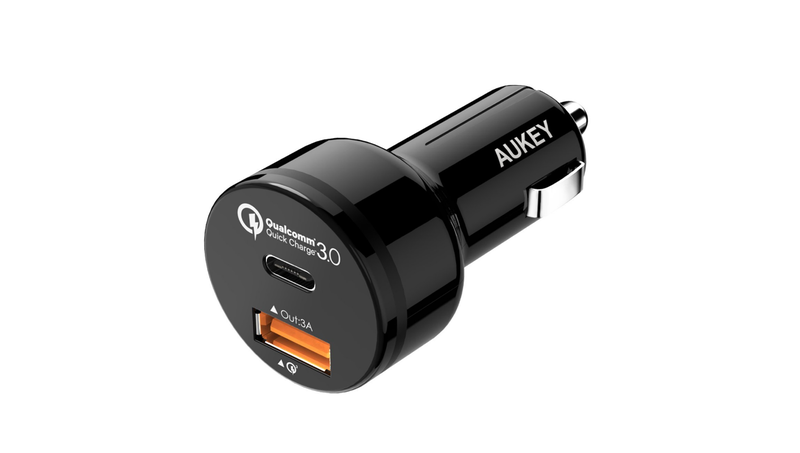 Quick Charge 3.0 and USB Type C will be featured on many, if not all, of the new crop of Android flagship devices. Those are sweet new technologies to look forward to, but most of us will still be using a gadget with QC 2.0 and MicroUSB charging for quite some time. Instead of pining for new tech, you can celebrate the fact that QC 2.0 batteries and chargers are now more affordable than ever thanks to the promise of change on the horizon. 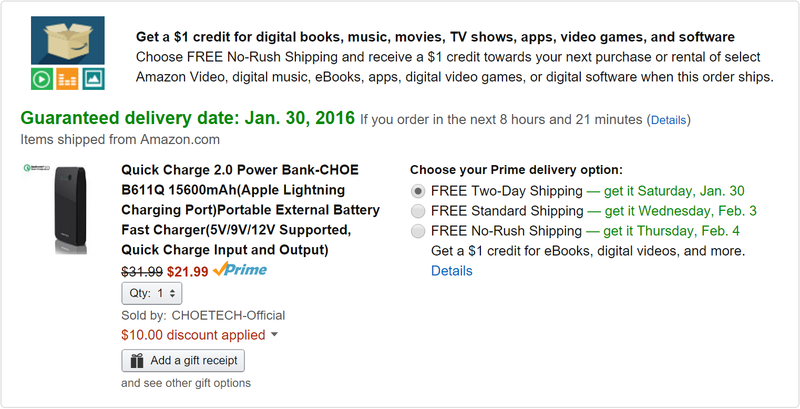 Choetech has a couple of sweet QC 2.0 charging devices available for killer low prices right now. 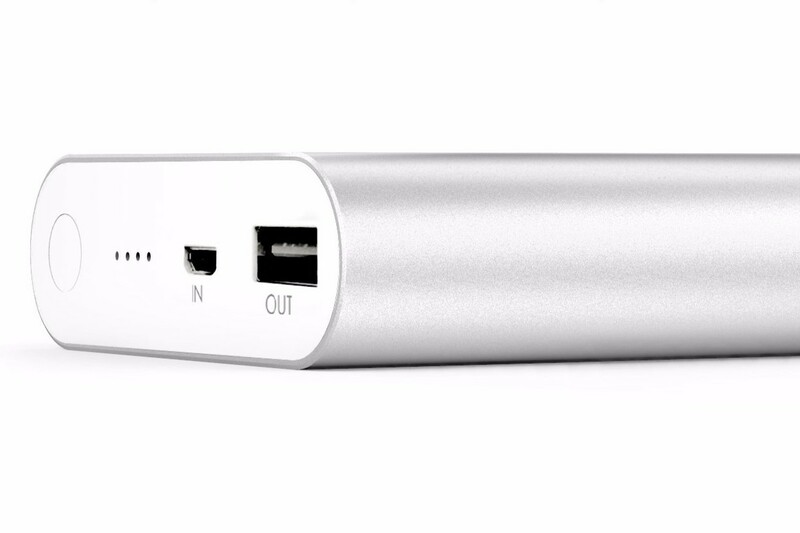 Portable batteries are great for juicing up your gadgets when away from a power outlet. The problem is, most battery powered chargers deliver electrons at a snail's pace. Fortunately, thanks to Qualcomm Quick Charge 2.0 technology, there's a new crop of batteries that are both portable and fast. 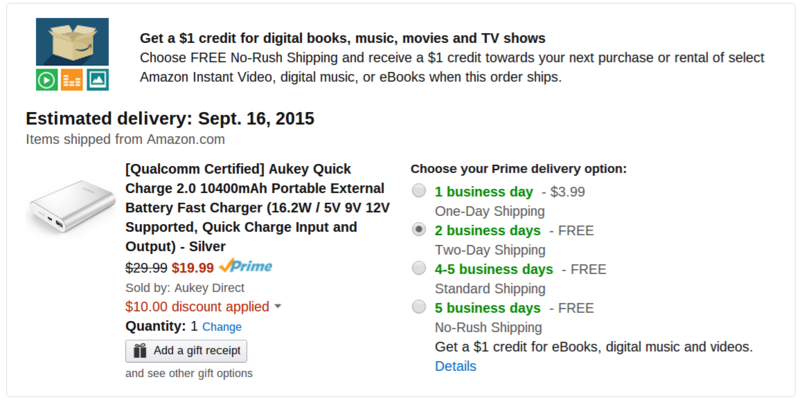 One of the better ones is Aukey's 10,400mAh battery, and right now you can pick one up for $20, a third less than the normal price. Besides QC 2.0 technology, there isn't a lot to be said about the battery. It has one USB port, four LED charge level indicators, and a nice rounded aluminium shell. 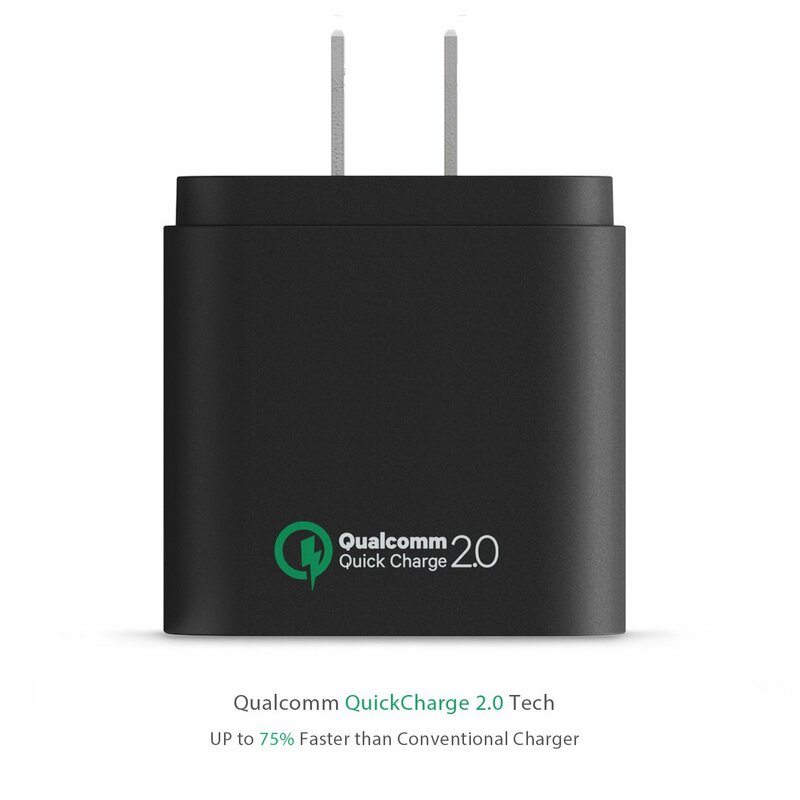 We have another good deal to share with you all today, this time on a Quick Charge 2.0 wall charger. The charger is an Anker branded unit on Amazon and the price is only $7.99 after entering the coupon code QPPAQPP5 at checkout. 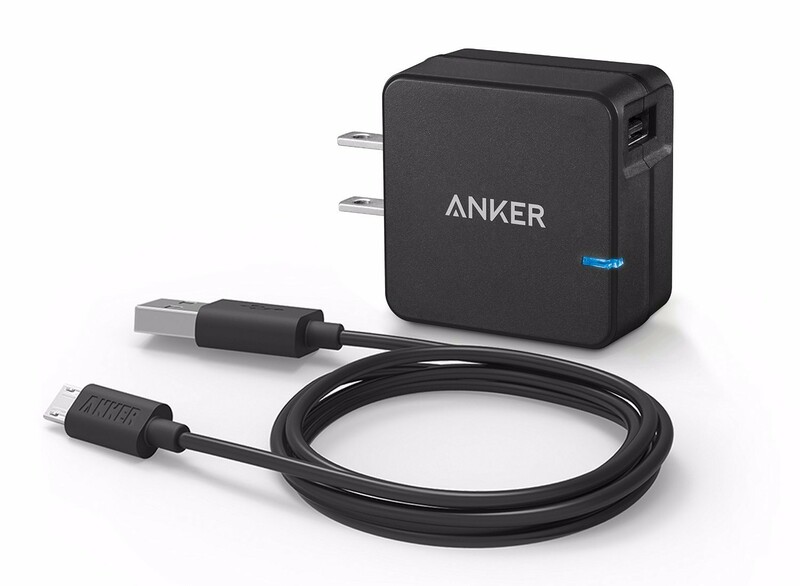 That's half off the normal retail price of $15.99 and every bit as good of a bargain as the last charger deal we posted. The one unique feature the Anker model boasts is that the LED charger indicator changes colors depending on the output. When the light is blue it indicates 5V output and when it's green it indicates 9/12V output. One of the things that I love most about my Sony Z3 is its compatibility with Qualcomm's Quick Charge 2.0 technology. The phone takes forever to charge with a standard USB wall charger (like almost the entire night), but with a Quick Charge device I can bring it from dead to fully juiced in fraction of the time. I have chargers plugged in in various places throughout my home, but I only own one Quick Charger. Why do I have only one if I like it so much? Because they are way more expensive than a standard charger – or at least they used to be.